Everton in the Community hosted its 30th-anniversary Gala dinner at a throbbing St George’s Hall on Tuesday night – and had raised the thick end of £40,000 before the event finished. The entire Toffees’ first-team squad were in attendance to celebrate the fabulous and far-reaching achievements of the Club’s charity since its inception in 1988. "Just being around for 30 years is fantastic, but if you look at what the guys have done in that period, it is something we are really proud of," Club captain Phil Jagielka told evertontv. "I am delighted to be here and to have played my part but the most important people are the guys who have put in all the hard work over the years." Graeme Sharp has closely charted the charity’s exponential growth across 30 years, firstly as one of Everton’s greatest players and now as a Club and EitC ambassador. "I remember how small it all was back in the 1980's,” said Sharp. Jonjoe Kenny and Jagielka both spoke passionately about their involvement with different strands of EitC. Everton Academy Graduate Kenny recounted his experiences of sleeping out at Goodison Park, as the Toffees Under-23s raised a quarter of a million pounds for the Home Is Where The Heart Is initiative in 2017 – an event so successful and inspiring it was repeated last year. And Jagielka detailed his strong connection with the Knowsley Veterans Hub [KNV]. He was joined by Dave Curtis, who runs the scheme – which uses sport, training and social activities to support ex-service personnel at risk of isolation – and recalled how KNV helped him during a difficult period of his life. In his evertontv interview Jagielka revealed how joy Everton's players embraced the opportunity to forge close ties with their Club's charity. "You are supposed to go [on community visits] and make people feel happy," said Jagielka. "But by the time the day has finished you feel better yourself. If you watch videos of us on the visits we are always laughing. "The lads always want to do their fair share. The staff make it easy for us. We only have to turn up. They put in all the hard work – it is a lot of hard work and they have been doing it for a long time." Russ Greenop, who established the James Greenop Foundation more than four years ago following the tragic death of son James, was afforded a standing ovation before and after he addressed the audience and spoke of the "special relationship" that exists between his foundation and EitC. Manager Sam Allardyce lauded the dedication and passion of the plethora of EitC volunteers who make the charity the finest he has encountered in his 25-year managerial career. "Their work – and the diversity of that work – is quite astounding," said Allardyce. Club ambassador Graham Stuart insisted nobody could "underestimate the power of the Everton badge", the former Toffees winger echoing the thoughts of Leighton Baines, who, on stage with Russ Greenop, struck a chord with the entire room. 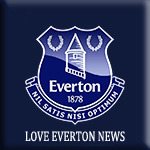 "As a club, we pull together," said Everton left-back Baines. "And we have seen tonight, if everyone can just give that little bit, then it can help people through difficult times." A fantastic evening included a quickfire auction, the highlight of which was arguably the three grand fetched for a day at Everton's USM Finch Farm training headquarters, lunch with Allardyce and his staff and all. EitC executive director Phil Duffy perhaps chose the most apposite words to sum up the charity and its impact on all the people whose lives it has touched. “This is the best football charity around,” said Duffy. “What sets us apart is the breadth and range of what we do. Sport can change people's lives."